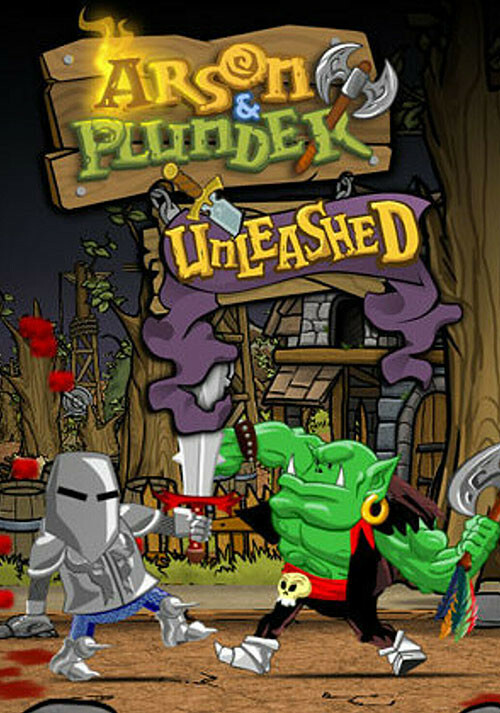 Buy Arson and Plunder: Unleashed as a Steam Key. 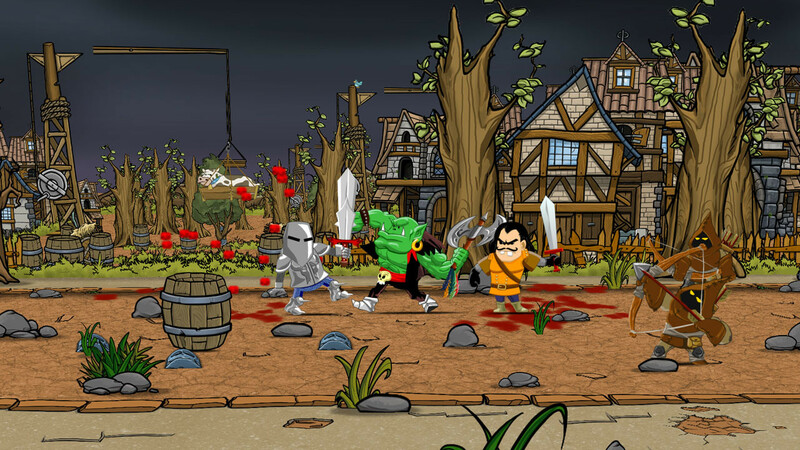 Arson & Plunder is a 2D arcade/beat'em up adventure based on the genre classics of the 90's. 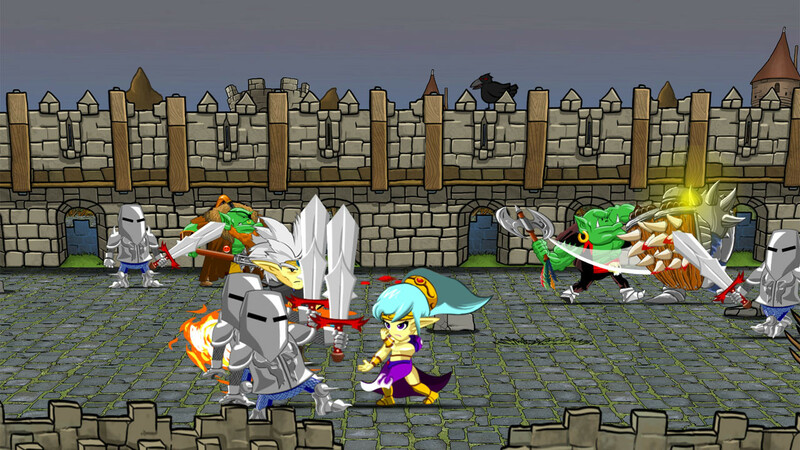 The classic gameplay has been brought up to speed with the latest developments and trends! In typical beat'em up style, playing an orc or elf you wade through hordes of enemies out to kill you in "Story mode". 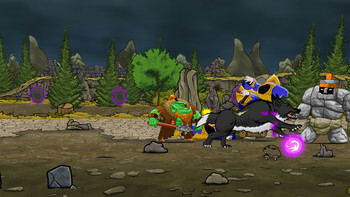 You can also build your up-to-4 battle squad to crash them all with your friends in co-op mode. 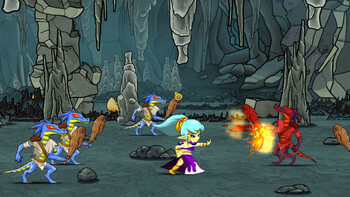 The game features beautiful 2D visuals, interactive scenarios and a humorous story. 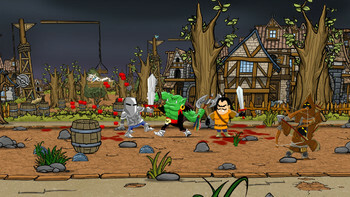 Your objective in Arson & Plunder is to survive over 25 different missions in five difficulty levels in "Story mode". While playing you can always switch between being an orc or an elf. This element make the game especially dynamic. 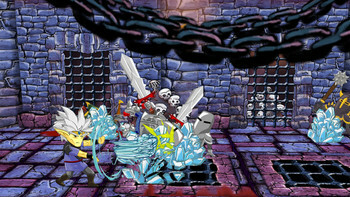 The controls are always intuitive and help you to carve your way through an adventure bursting with humor and action. "Co-op mode" will allow you to enjoy all the bizarre situations with your friends. 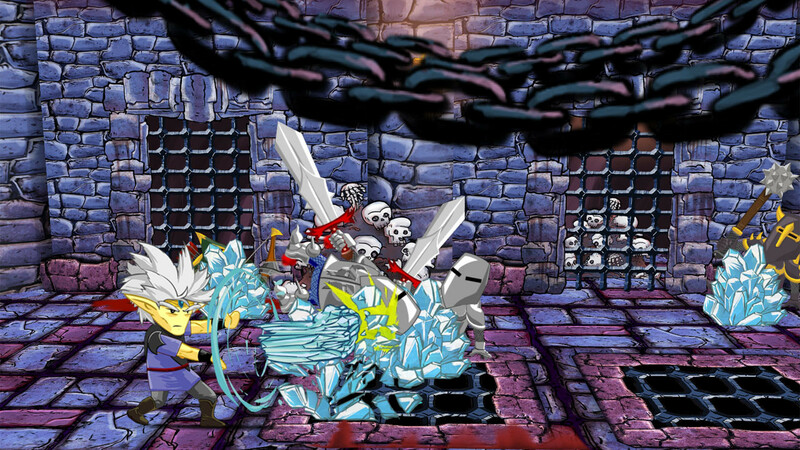 Besides, you can test your endurance in "Endless mode" within a dedicated dungeon scenario, fighting against an increasing cornucopia of enemies! The orcs and elves of the Loidar wood have been in war since time immemorial. But their struggles have been forced to a stop because of a new and powerful enemy: Man, a wicked race that wants to take possession of their sacred woodlands in order to exploit all their natural resources. In view of this threat, elves and orcs are forced to agree to a truce and to try stopping the invading forces. They draw up a plan to stop humans and their deforestation: to find the stationed troops near wood's region and to beat down their captain. But the region is protected with a magic shield that can't be destroyed by brute force. The only way to get in is to use the Milius stone, a magic stone placed in a cave near the outskirt of the forest, that will transport whoever that touches it to another cave placed near the human region. 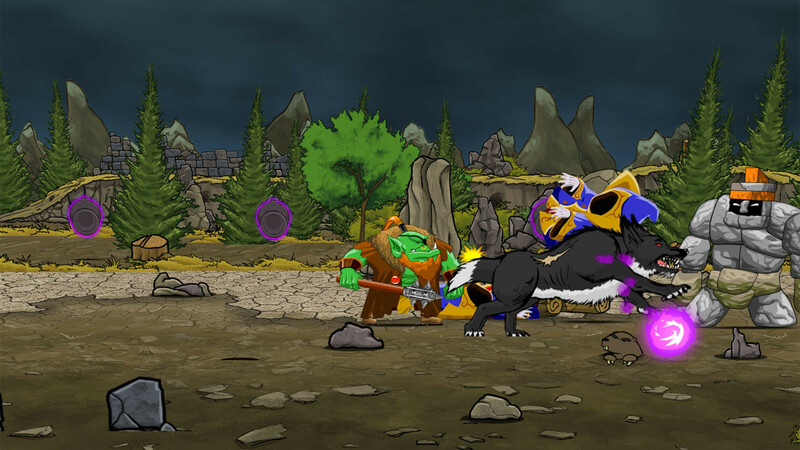 This isn't the only problem; orcs and elves agreed to a truce, but they don't rely on the others' abilities for completing the mission successfully. So they decide to send, on their own, a warrior of each race. Elves send Tinargey (Eternal Fire Star) Arson, a graceful and skillful elf woman, well versed in the ancient secret art of Fire Mastery. Orcs sent Vrok Plunder, a rough berserker armed with a big battle axe, as lethal as his arms, legs, jaws and big hard head. 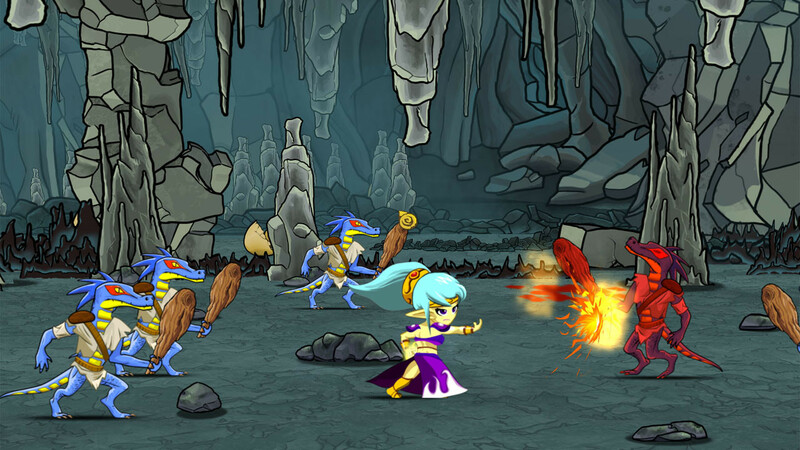 Both warriors get into the cave from two different places, and quickly progress to the magic stone, reaching it at the same time. The stone teleports them to the destination cave, but the result is not as expected: the magic travel wasn't prepared for two beings at the same time, and now the man and the fly the orc and the elf woman are fused. So, now there is a single body inhabited by two beings, that learns summoning the body of one another as they need. Once they get used to their new body, they get into the enemy lands, going through a near deforested wood followed by a village, finding tougher new enemies. After that, they'll go toward the mountains to destroy the sorcerer that shielded their people out of the human territories. 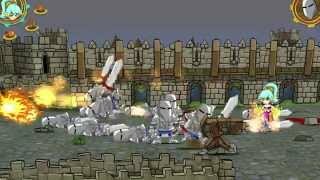 Finally, orcs and elves will help our heroes to occupy the castle and finish off the human captain in the highest tower of the palace. At the end, the wood is safe again, and orcs and elves can continue happily with their bloody wars, but Arson & Plunder™ are still trapped in the same body, and there's no magic powerful enough in the forest able to undo the spell. So, our heroes must leave to a new mission towards the unnamed lands, where it's said that most powerful wizards lives in. Problems with Arson and Plunder: Unleashed?